New research suggests that protecting the Amazon rainforest from deforestation may just be shifting the damage to a less renowned neighbor. The unintended consequences are profound. Efforts to rein in agriculture activities in the Amazon have led to an 80 percent reduction in rainforest destruction between the early 2000s to 2015. 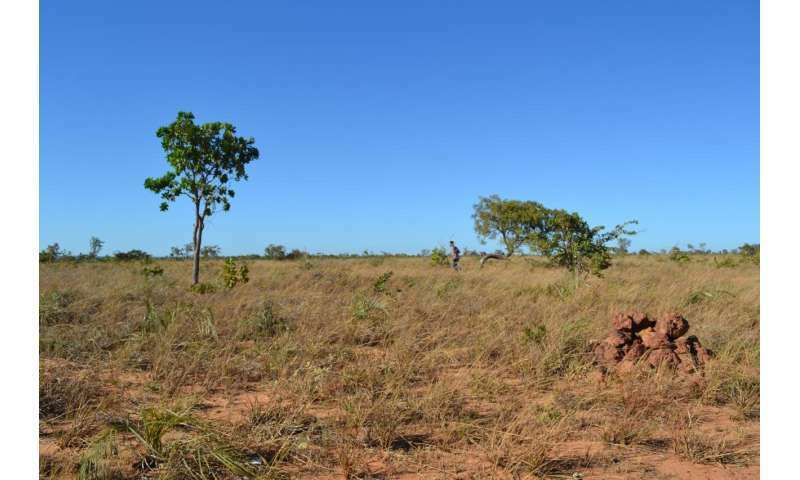 Yet in this month's Journal of Geographic Sciences Michigan State University (MSU) researchers show that farming and ranching have caused 6.6 times more destruction of natural vegetation in the nearby Tocantins State of the Cerrado in central Brazil, without a corresponding uprising of concern. "We are not saying reducing rainforest destruction in the Amazon shouldn't get attention," said Yue Dou, a research associate in MSU's Centers for Systems Integration and Sustainability (CSIS). "But attention has to be paid in the major destruction of another area which also has significant biodiversity." Cerrado is a Brazilian savanna of varied, wooded grasslands that cover more than 20 percent of the country. Amazon's rainforest terrain of towering, ancient broadleaf trees, has a wide appeal and international fascination. The Cerrado, though a global biodiversity hotspot, hasn't commanded the same attention. Both areas of Brazil have been farmed aggressively. Two supply-chain agreements placed bans on purchasing soybeans grown on Amazonian lands after 2006 or beef raised on Amazon land deforested after 2009 vastly slowed deforestation. Researchers calculated that the policies reduced deforestation from 22,766 square miles to 11,013 square miles in the Amazon. Yet destruction in the Cerrado surged as soybean farmers and cattle ranchers sought new places to produce highly demanded foods. In the state of Tocantins alone the conversion to agricultural land increased from 465 square miles to 3,067 square miles from 2007 to 2015. The authors of "Spillover effect offsets the conservation effort in the Amazon" note that the reasons behind the hidden impacts are complex and can be difficult to understand—so it's hard to realize success in one part of the country can be spilling over with setbacks in a neighboring area. Colonization, road building, available infrastructure and effectiveness of law enforcement are among the many moving parts that cause people to cut down natural vegetation and farm. Comparing rainforest to Cerrado also is challenging. That's why scientists worked with the telecoupling framework capable of examining many different factors. Telecoupling framework integrates many different scientific disciplines to allow scientists to holistically understand ecological and socioeconomic interactions over distances. "In our increasingly complex world, we need to look at problems in new ways that can reflect subtleties and truths that are counterintuitive," said Jianguo "Jack" Liu, CSIS director and co-author. "Progress in sustainability must be genuine and we can't allow ourselves to be blinded by success in one place at the expense of invisible impacts on other places. The telecoupling framework helps to bring together many different kinds of information to fully understand important change in our telecoupled world."